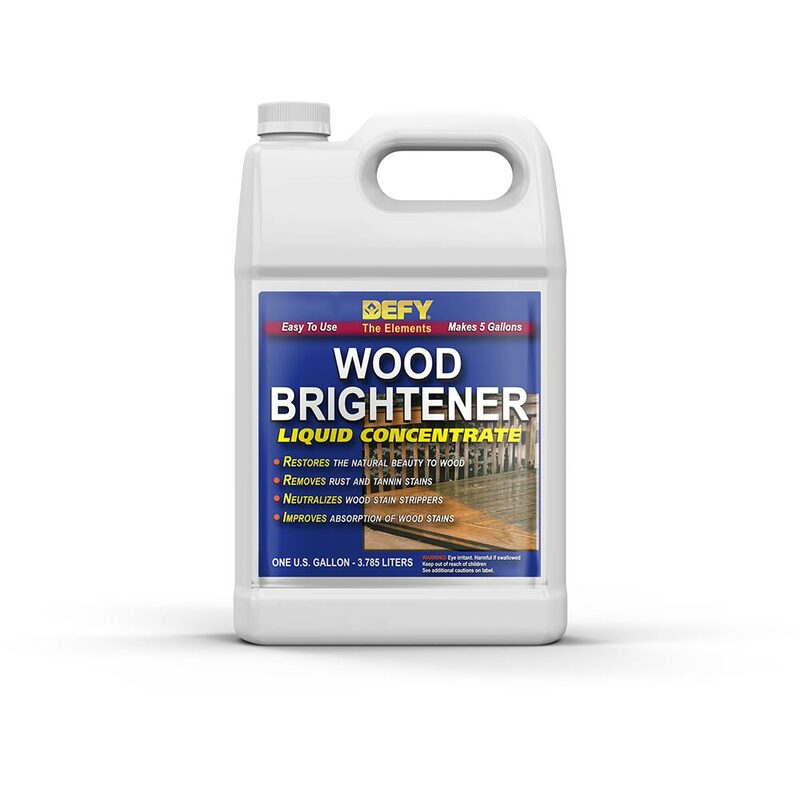 Defy Exterior Wood Brightener is an oxalic acid deck brightener for wood deck cleaning that removes dirt, grime, tannin, rust and fungi stains from wood surfaces. Find out how to clean your wood deck for the best results to restore the wood's natural beauty. 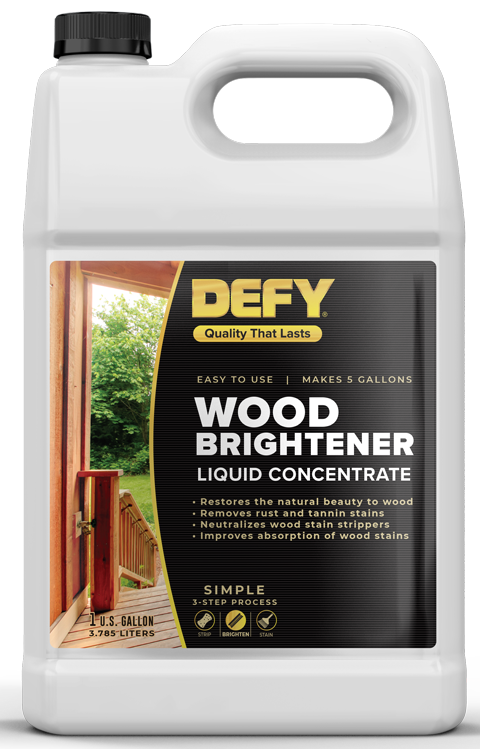 Defy Wood Brightener is a liquid concentrate that is mixed 5:1 with water to brighten and restore the natural beauty of exterior wood. Can the same sprayer be used to apply Defy Cleaner and then Brightener? things? In other words it’s safe to put other products into the sprayer after rinsing it out ? Yes. 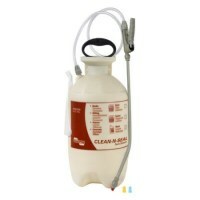 Clean with water when done and use as needed for other items. Best to spray on then rinse after 10-20 minutes. No need to scrub. how do you apply defy deck brightener? Is there an oxalic acid brightener that you can spray on, wait, then rinse or do you have to spray, then scrub, then rinse? Oxalic acid is a wood brightener not a wood cleaner. 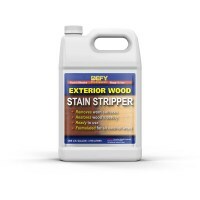 The only way to get it lighter and even is to use a stain stripper to remove the buildup layers of old stain then use the wood brightener to neutralize. I have protected my PT deck for several iterations (the last 6 yrs) with Defy Epoxy Stain (Natural). Each application has made the deck slightly darker. Prior to this year's planned restaining, I was wondering if in addition to cleaning with an oxalic acid wood cleaner, that a wood brightener would do any good. I am concerned about the deck looking blotchy as the wood brightener would not brighten where the epoxy stain was still effectively sealing the surface. Any thoughts? No. 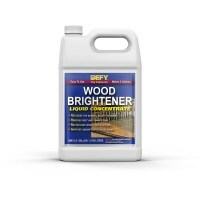 The Defy Wood brightener does not "brighten" stain or water marks. It brightens or neutralizes wood. This product is also designed for outside wood, not interior furniture. We do not sell products for furniture. I am attempting to refinish a solid birch wood bedroom set. This is my first attempt at doing this so please bear with my total lack of know-how. I have sanded my heart out but I cannot get an even color. I realize that birch is typical of this but I believe that it may have more to do with the previous stain penetrating deeper in some areas than others. There are also black water marks on the legs of the headboard and footboard. My question is, would Defy Exterior Wood Brightener be good for removing the last vestiges of stain and brighten it up? And if I used this product, would it then matter which new furniture stain I applied?